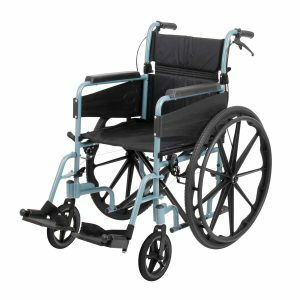 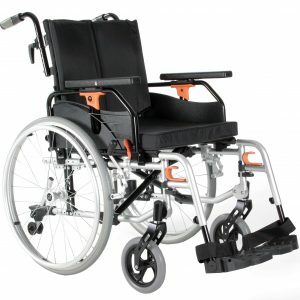 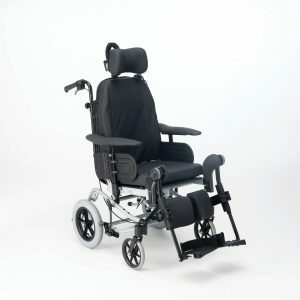 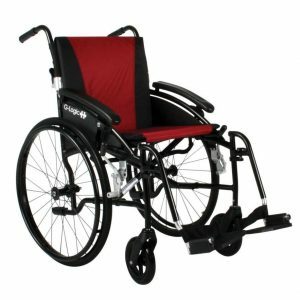 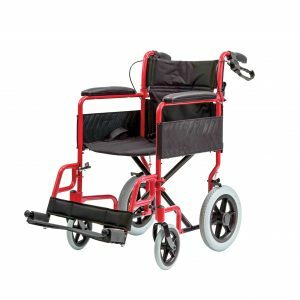 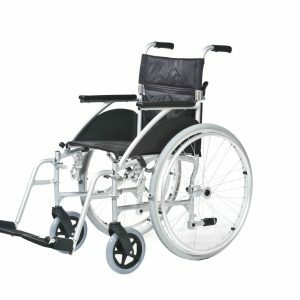 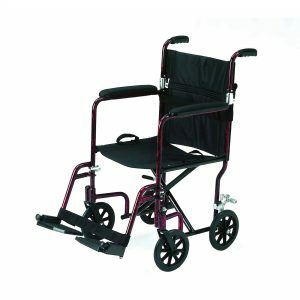 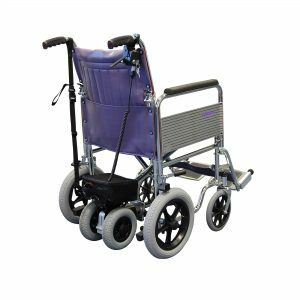 This wheelchair is one of the lightest available on the market with strength and stability added via the double cross bar under the seat. 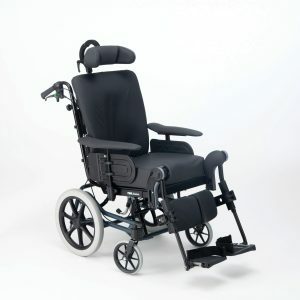 The breathable material makes this chair very comfortable. 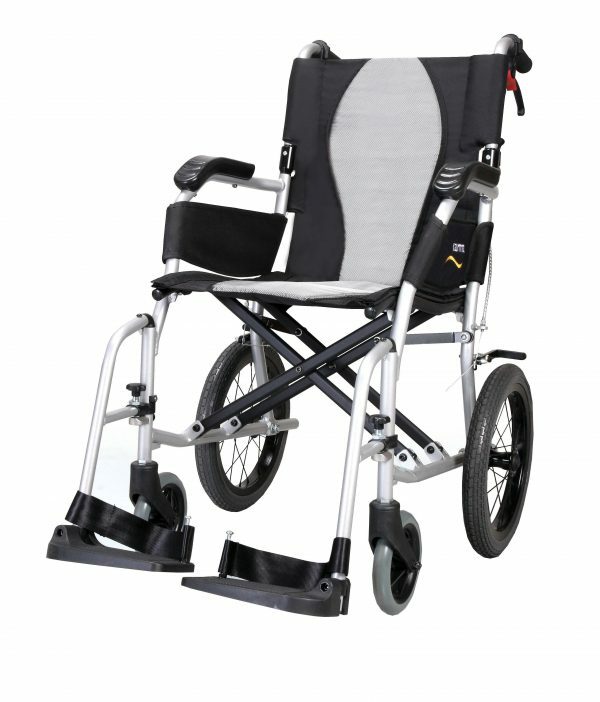 Fitted with hanging footrest and fold down backrest. The brakes can be locked via the push handles so the caret does not have to bend to apply the brakes.